Two words: chicken and waffles. Excited yet? 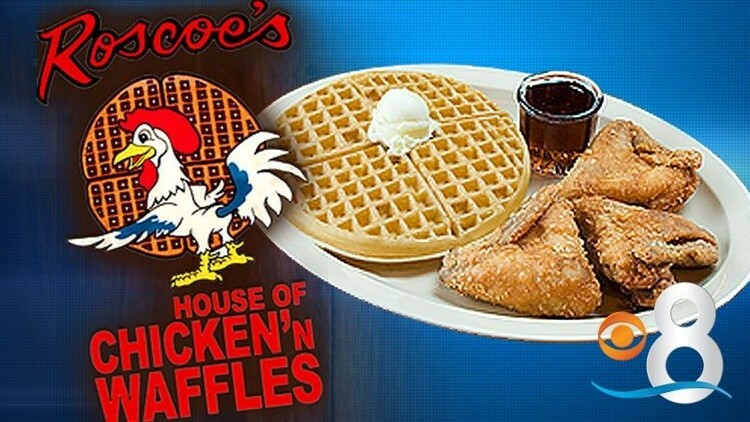 If not, get ready - the word on the street is Roscoe’s House of Chicken and Waffles is coming to San Diego. That’s according to the San Diego Eater, which reports that the restaurant intends to open a new location in San Diego and that new restaurant could open as early as this year. In previous reports, the media outlet received a tip that Roscoe’s could be opening in the Hotel Circle area of Mission Valley, but now reports that Roscoe's ownership is actively looking at sites around San Diego. Roscoe’s has seven Southern California locations with restaurants in Long Beach, Pasadena, West Los Angeles, Inglewood, Los Angeles, Anaheim and Hollywood, which has remained popular with celebrities. The soul food restaurant chain is known for their chicken and waffles dish, but also serves gravy and onions, omelettes, chicken liver, potato salad and french fries to name a few. The restaurant also features a dish named for President Obama, which includes a waffle and three chicken wings. Our own late Larry Himmel reported on a San Diego-based chicken and waffle restaurant that could give Roscoe’s a run for their money. Louisiana Fried Chicken San Diego is located at 2850 National Avenue and features chicken and waffles, fish and shrimp, gumbo and red beans and rice. Do you have a favorite chicken and waffle house? Let us know in the comments below.